Easy to push, even on gravel! “Fat Tire” tested for 1 million revolutions with no wear on tires. 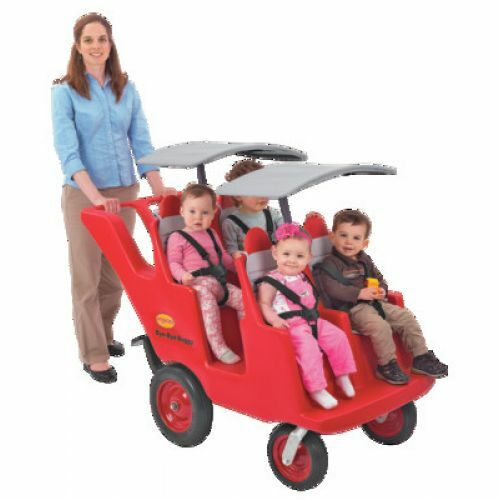 Features terraced seating so all children can see, 360° pivoting front wheels for easy maneuvering, spokeless steel wheels, easy-to-fasten seat belts, and a built-in storage compartment. Slim design allows Buggy to fit through doorways. Ships fully assembled. 3-year guarantee. Weight 113 lbs.